An update to Vol. 3, pp. 934–937. Nine seasons of excavation have been conducted at Tel Malḥata by the Institute of Archaeology of Tel Aviv University. During the first two seasons (1967, 1971), directed by M. Kochavi, two large trenches were cut into the tell. 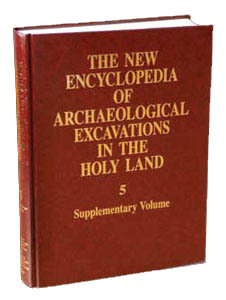 Seven seasons (1990, 1992–1995, 1998, 2000) were conducted by a joint expedition of the Institute of Archaeology of Tel Aviv University and Baylor University, Waco, Texas, under the direction of I. Beit-Arieh and B. Cresson. During these excavation seasons, new areas were opened primarily on the lower part of the mound (areas A, D, E, F, G); one area (H) was dug at the top of the eastern slope of the higher part of the mound; and additional excavation squares (B, C) were excavated abutting the tops of trenches W and Z.